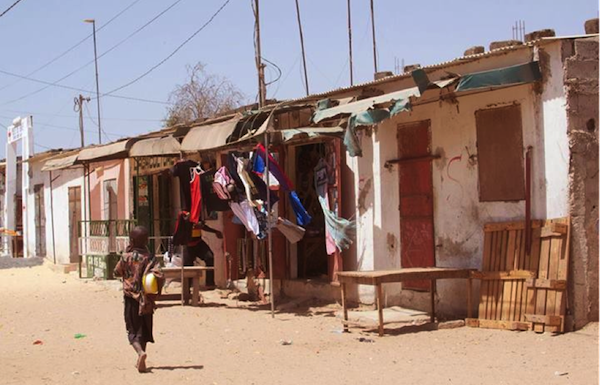 Senegal sits under the Sahara desert, with its most western point and most densely populated region centred on the capital city Dakar. It’s here you will find un-crowded breaks for all abilities and experience sub-Saharan Africa in full force. Brought to light by the granddaddy of all surf travel movies ‘Endless Summer’, Senegal has had its world-class waves exposed and made famous, but it’s still not attracted the same crowds as Morocco further north. Surprising, as it’s easily accessible from Europe and now New York, but great if you want to avoid crowded line-ups and frustrated locals. French is spoken widely alongside the native language of the region, Wolof. 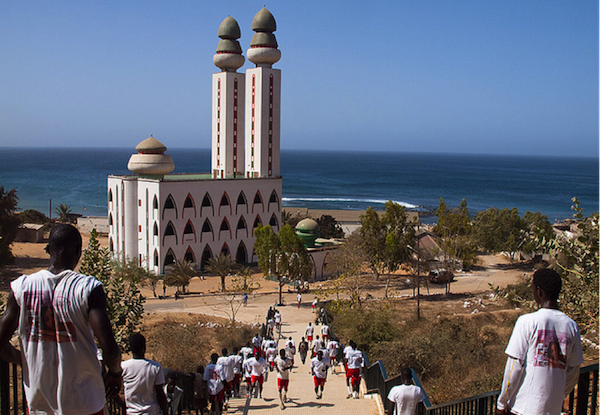 There are a few surf camps in Dakar but the most renowned and respected is N’Gor Island Surf Camp. N’Gor Island or Île de N’Gor is a speck of paradise off the northern coastline. It bustles all day with tourists and traders but is tranquil at night. Run by a very approachable and extremely able Danish surfer named Jesper Mouritzen; the camp has everything you need. It offers clean, safe lodgings as well as equipment, surf-guides and two good square meals a day. 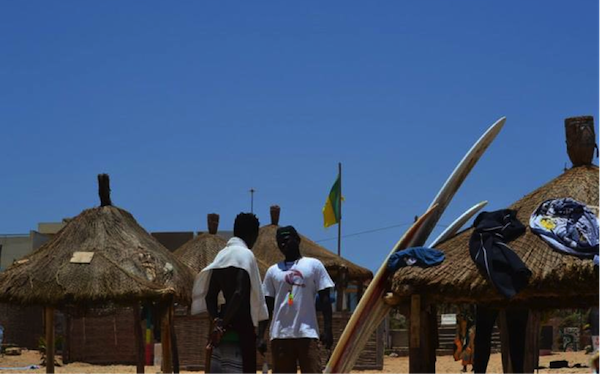 The surf guides are all local Senegalese surfers and will take you to a break to suit your ability. They’ll deal with the otherwise painful taxi negotiations to the best surf spots and happily share that all-important local knowledge. 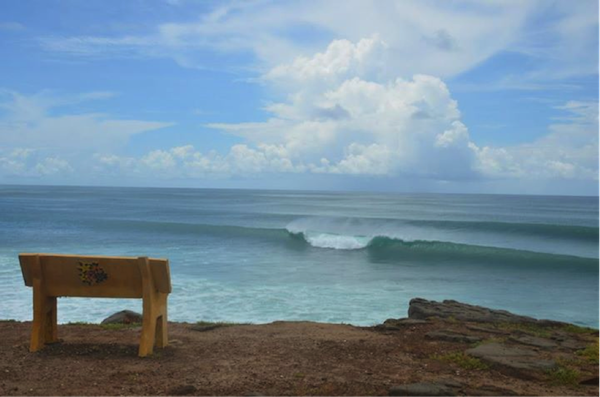 Yoff offers a forgiving beach break if you are a beginner or little rusty whereas Secret Spot gives you a reliable but very fast reef break close to the shore. There are other options like the daunting and thunderous Club Med (the risk is worth the reward if you pull it off) and Oukam. Whether you surf it or just go to see it; Oukam is staggering. A reef break that fires more often than not, it’s in front of a towering white mosque that imposes itself over the ocean. If you catch it on a Friday you’ll see crowds streaming towards it down the hill for prayers. Just don’t get too distracted by the view; going over the falls here can be unforgiving. Dakar has numerous other breaks, lefts and rights, with a year-round consistency that is hard to compete with. A warning though, many of the spots are rife with sea-urchins and they are total bastards to the experienced and uninitiated alike. Some good reef boots will be a solid investment and always watch your step in the shallows. This consistency has led to a number of highly skilled Senegalese surfers of which all the camp’s guides are drawn from. Like other coastal Senegalese, the Atlantic’s in their blood and they have intricate knowledge of the ocean and their breaks. The country’s waters have not been over-fished or polluted, with the government so far protecting their seas from nefarious foreign influence. One of the guides, Kouka (an excellent teacher and one of the best, most stylish surfers in Dakar) is also a spear-fisherman; full of stories about the deep. Sharing and hospitality is integral to Senegalese culture, so if invite you to join an impromptu meal with them it’s respectful to partake. Be wary of rip-roaringly hot peppers if they aren’t your bag though, and try and take the bullet gracefully if you get caught unawares. Off-days give you numerous non-surf options and the nightlife, particularly on the last weekend of each month, is outstanding. 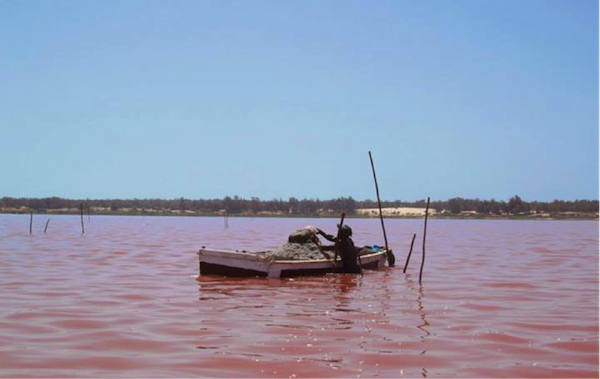 There’s the Lac Ros north east of the city, a salt lake that has a pink hue on account of red pigmented algae; it’s an otherworldly place. The lake has a small community of salt miners and if you want to tread the waters like them you need to cover your skin in shea butter. This will protect your skin against corrosion and plenty of it can be found in the central markets of Dakar. 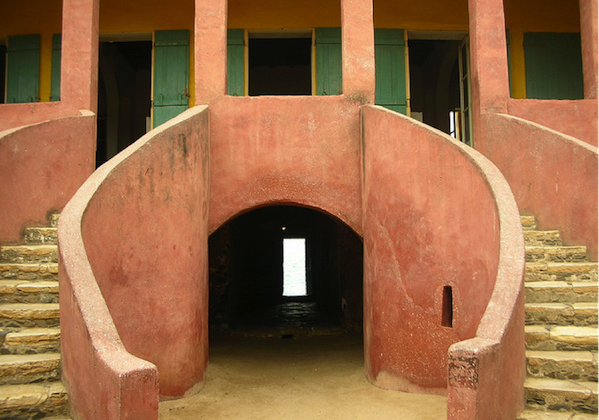 A short ferry trip away from the city will take you to Île de Gorée, a 45 acre island off the main harbour. The tree-lined, sun dappled cobbles and lively artistic community contrasts with its past as an outpost of the slave trade. Here, West Africa’s history will hit you like a stomach punch. The Maison des Esclaves or ‘House of Slaves’ has been preserved as a historical monument. It housed cells for men, women and children as well as a loading dock that faces out to sea; it’s a deeply upsetting, brutally heavy but important place. 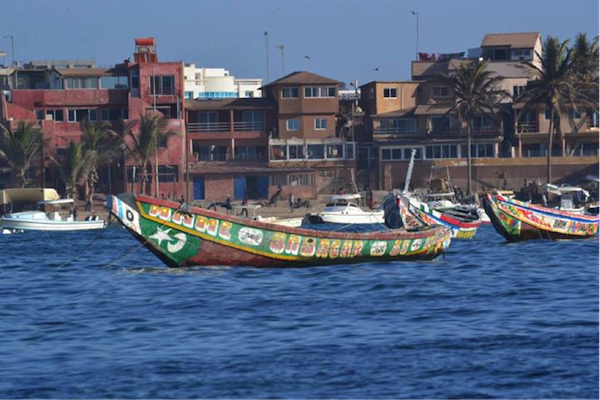 Senegal’s waves are one of the attractions of a dynamic, vibrant and extremely welcoming country. Like other developing countries it has some world-class hustlers and some will always see westerners as sunburnt cash machines, but once you get around that, the Senegalese you encounter will shock you with their hospitality. Strangers will help you and share what they have; the warmth of some people with next to nothing will probably be a wake-up call. With that in mind, surf equipment is very difficult and expensive to come by there so if possible, take whatever you can to give away to Dakar’s surf community. Wax, leashes, wetsuits even a board if you can manage it, they will go far. Tom O’Toole is Surfdome’s Senior Copywriter.He took up surfing late and has been wiped out in oceans across the world. Find him writing on Surfdome’s Lifestyle blog. Other interests include listening to Prince, well-tailored clothes and martial arts.